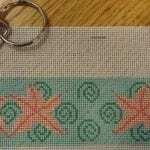 Whoa man…like these cats are really zig-zagging their way to Woodstock! 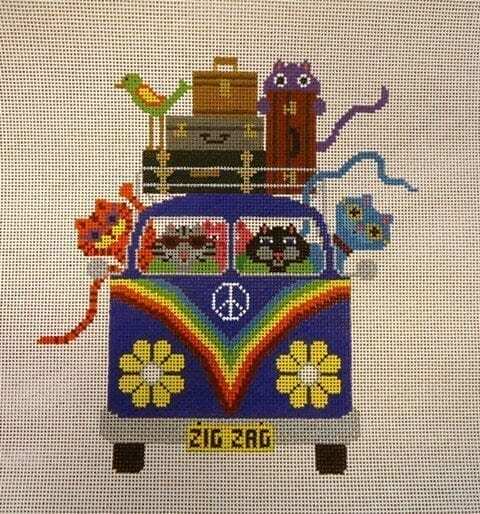 By JP Needlepoint this VW like bus full of cats on a “trip” are too much fun! Get your psychedelic colors out and let it ride! 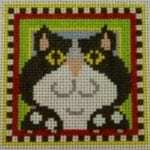 Painted on 13 ct. canvas, the design measures about 8 x 9″ with lots of space for any funky background you choose.